The Hair Pair opened in 1976. 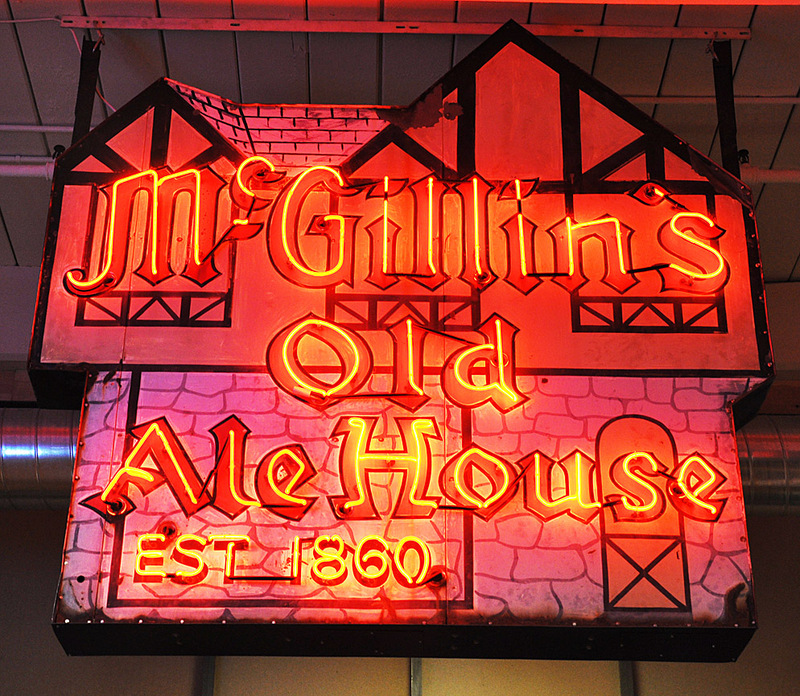 I believe this window sign is older than that. 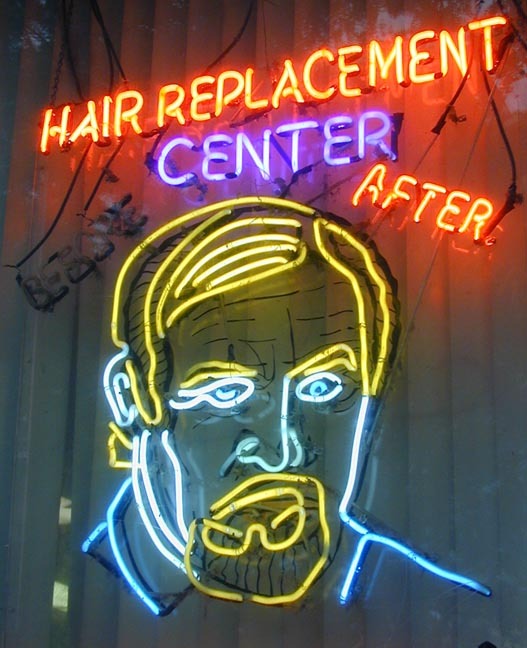 The animated neon alternates between "Before" (with hair) and "After" (without hair). 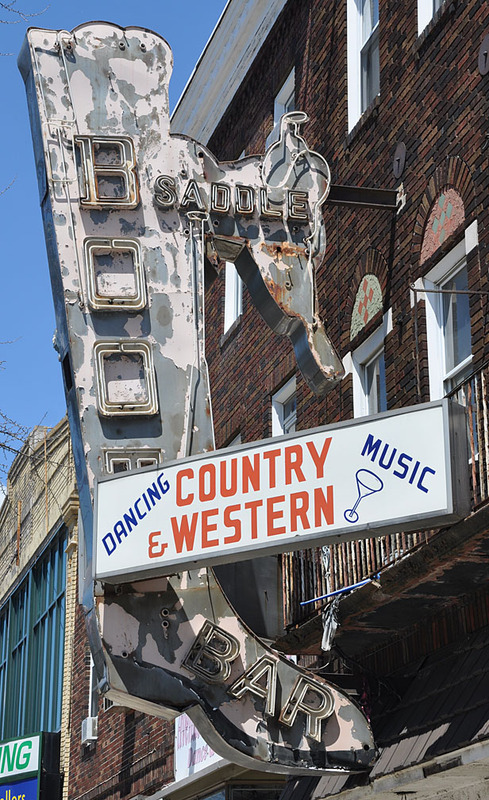 The sign is now in the private collection of Len Davidson. 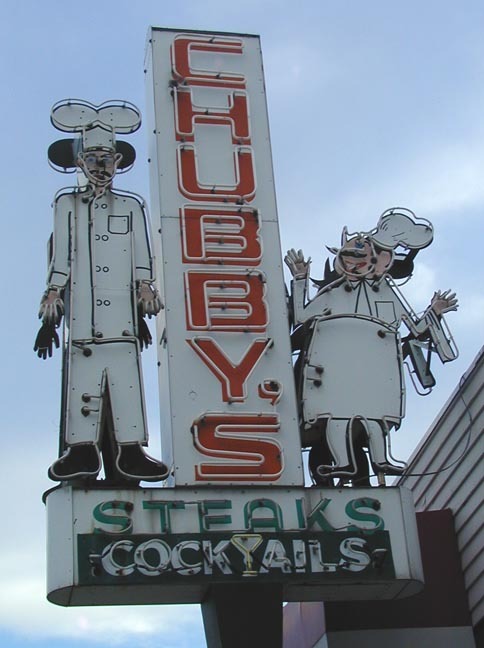 Chubby's Steaks is known for its cheese steaks. 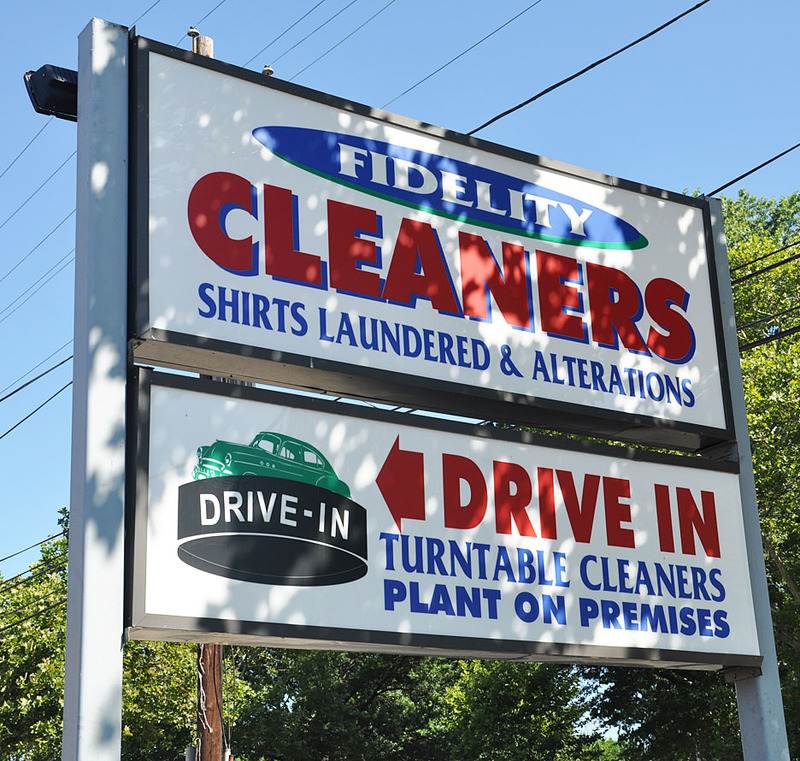 While the business is still there, this sign was replaced with a plastic one in 2007. 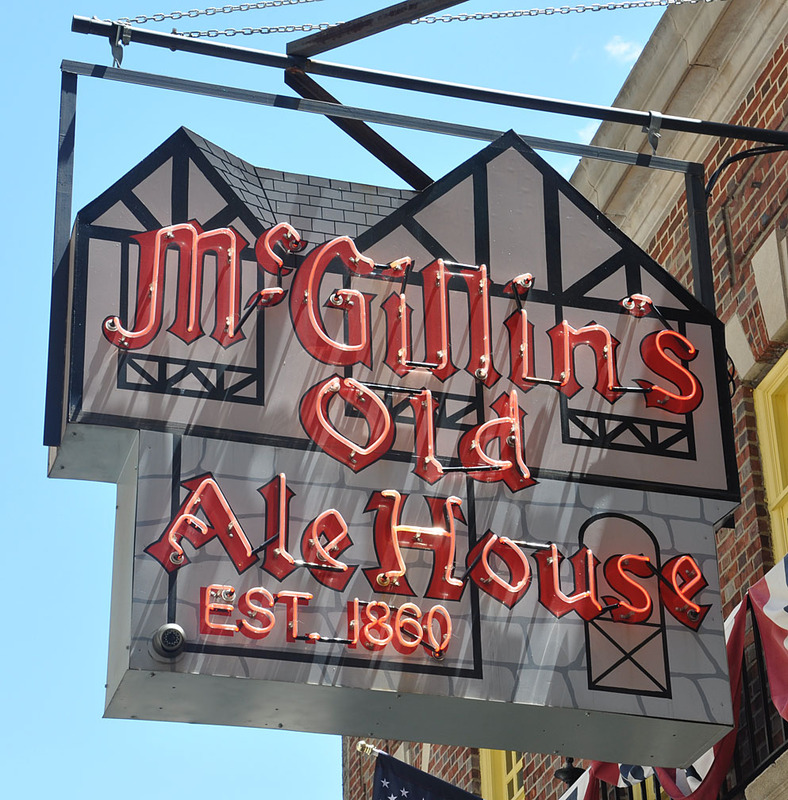 I'm told that this sign was built in the 1980s but it looked older to me. 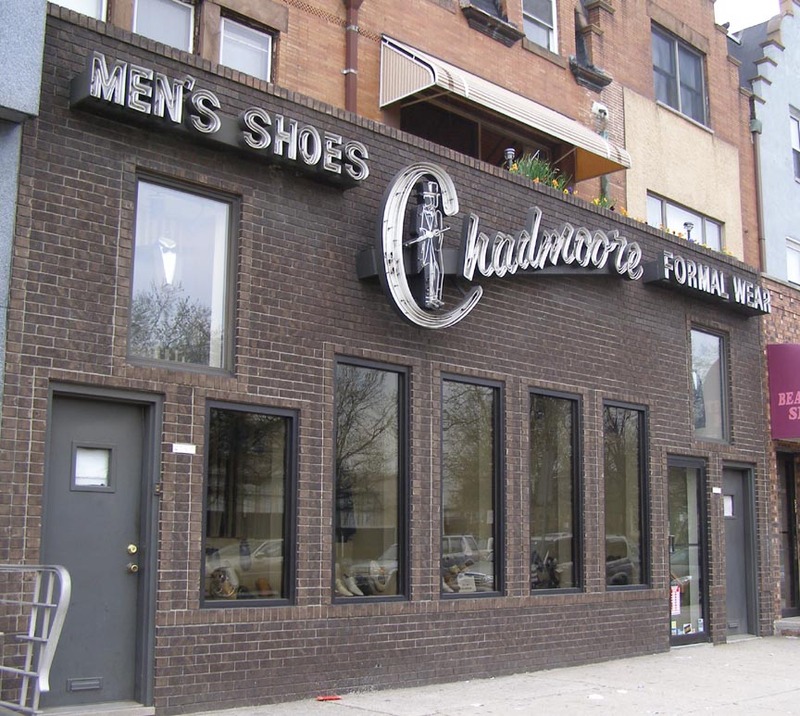 Chadmoore Formal Wear opened here in 1963. 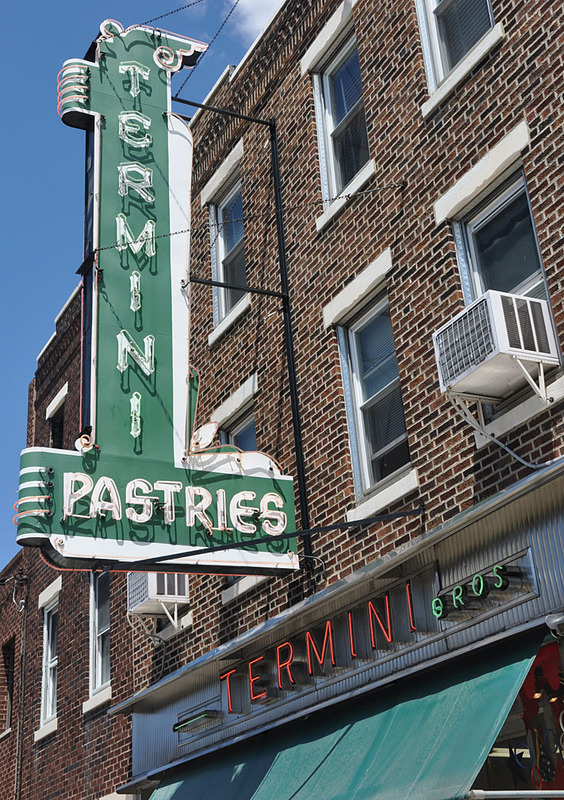 This sign was probably built then. This photo is from 2006. 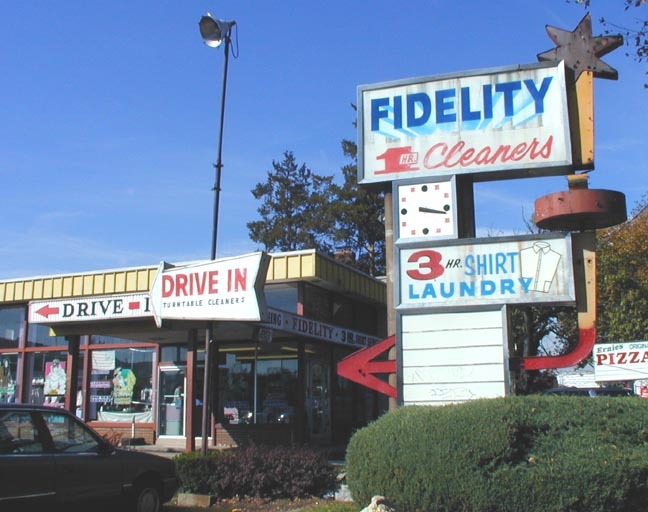 By 2007, the store had moved and these signs were gone. For more, see this website. 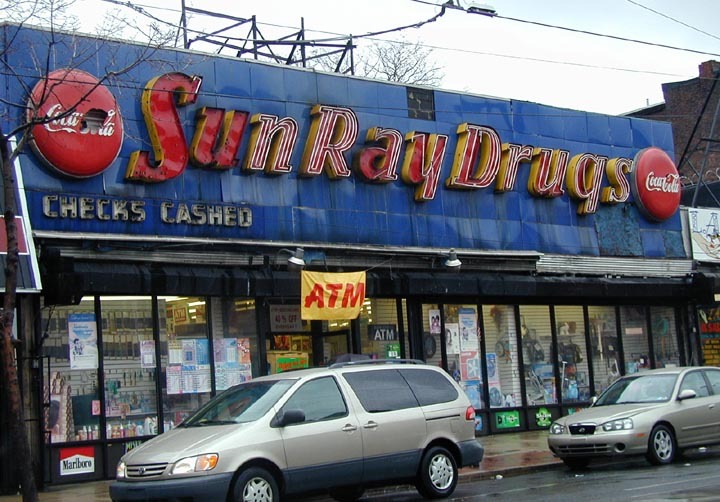 This Sun Ray Drug Co. store was once part of a 150-store national chain. 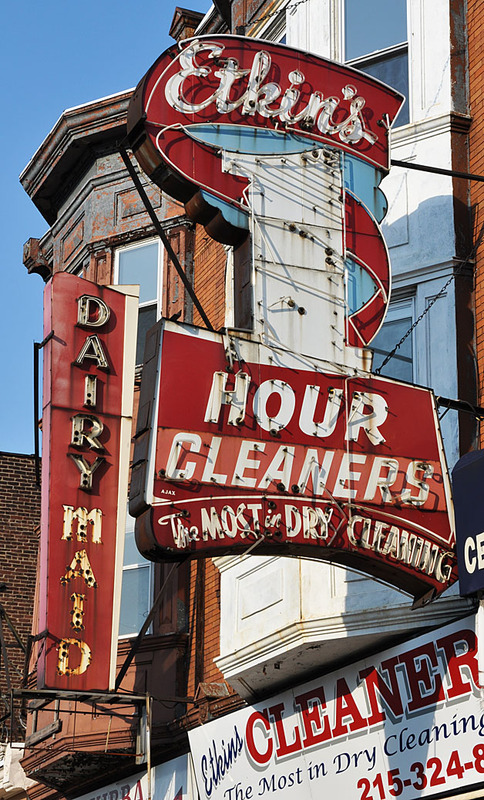 This sign has been replaced since the store is now Sun Pay, a beauty supplies and check cashing place. For more, see these websites: 1 and 2. 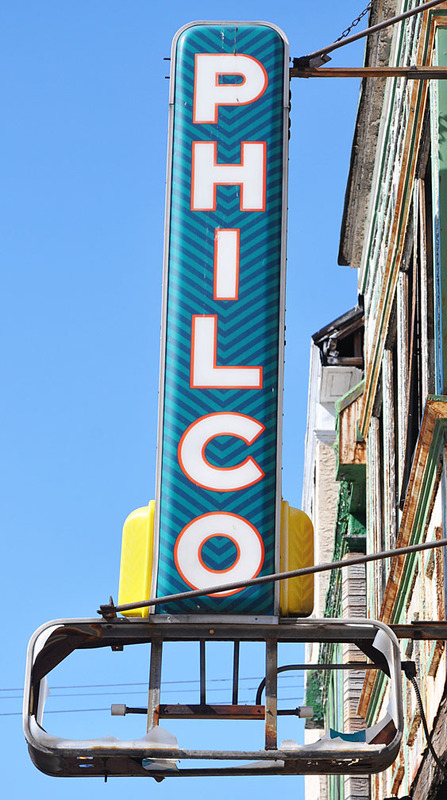 This Philco sign hung above a vacant storefront when this photo was taken in 2010. 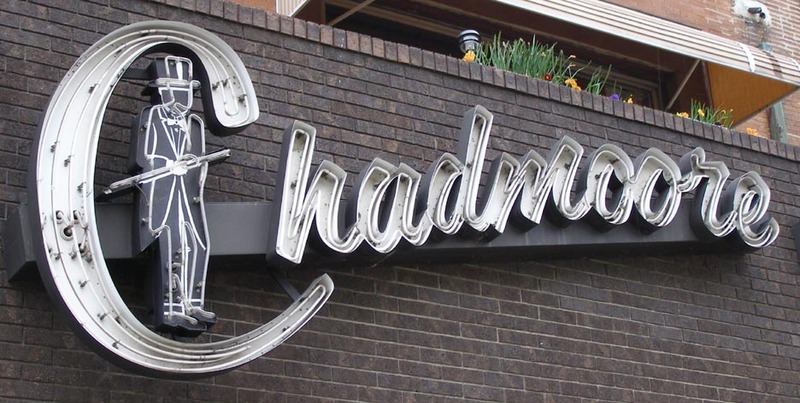 This sign was still there in 2012 but gone by 2017. 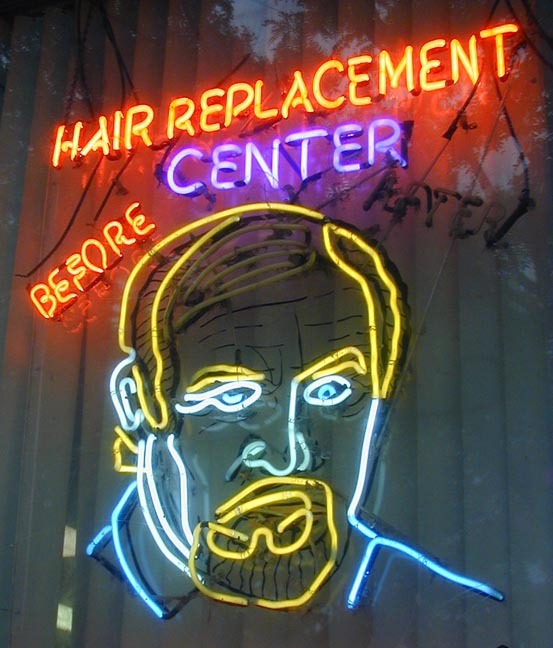 These plastic signs were mass-produced and used at radio and TV stores and repair shops. For more, see this website. 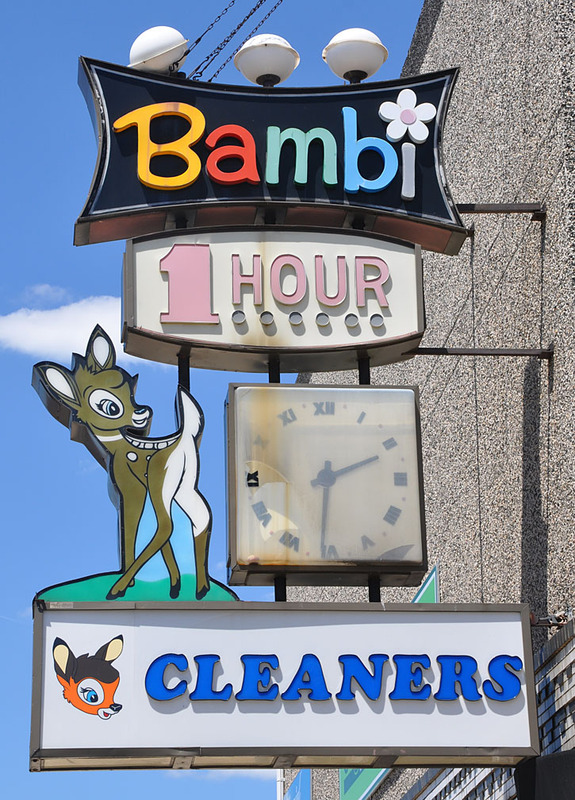 The former Clearview Dry Cleaners featured a full wrap-around neon sign around their building. There appeared to have been a clock in the metal portion above the door. A church occupied the building when these photos were taken in 2004. By 2010, the signs were gone. 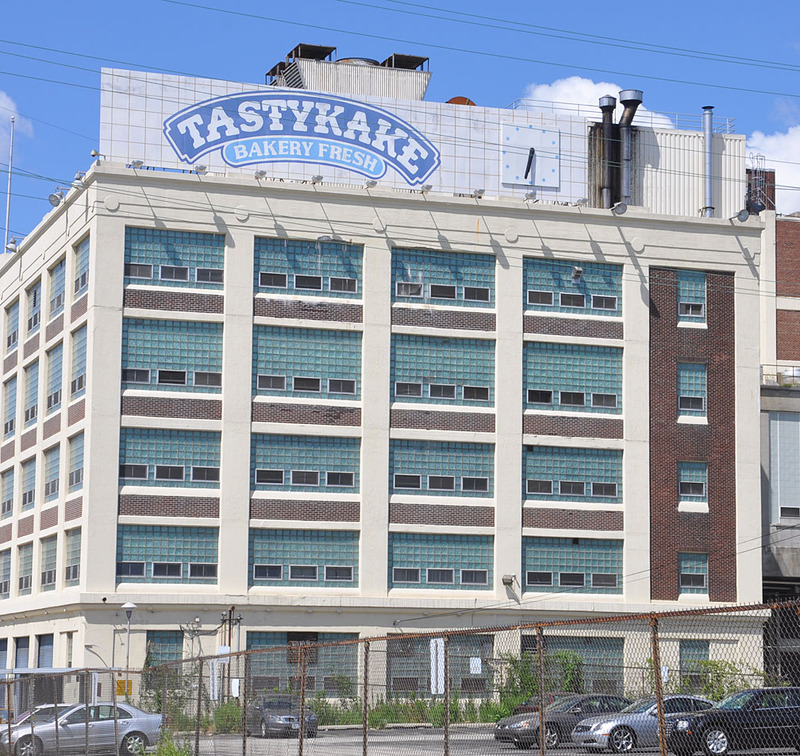 The Tastykake Bakery sign is on top of the company's production building. 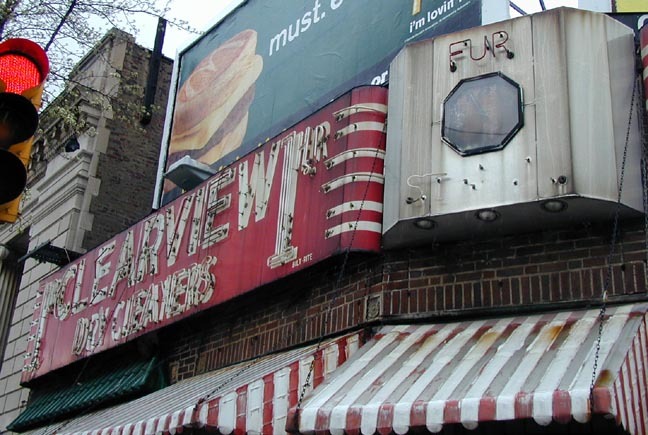 The clock on the billboard was still functioning when these photos were taken in 2010. Tastykake was founded in Philadelphia in 1914 and I believe this building is from the same year. By 2015, the sign had been covered up with a sign for U-Haul. 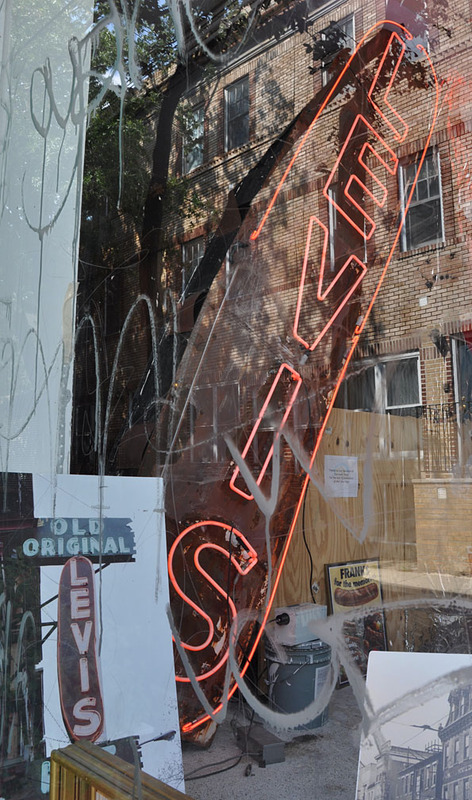 The Levis Hot Dogs sign is from the 1950s. It was part of a larger sign. 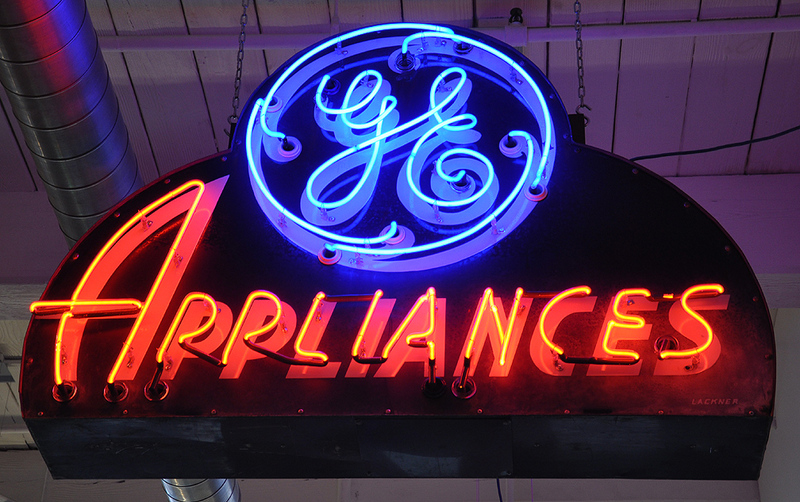 It is not known what happened to the upper and lower text parts of the sign. 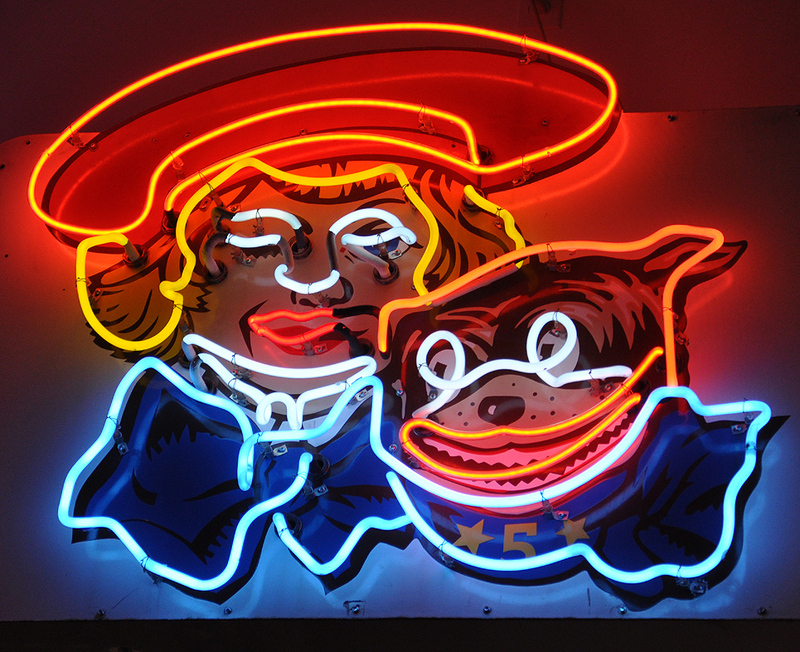 The hot dog sign which is owned by Len Davidson was moved to a temporary space in 2012. It has now been moved back into storage. 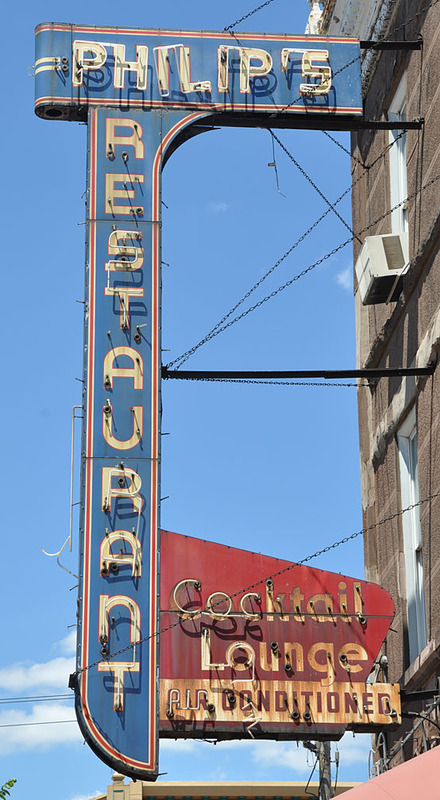 This Pat's King of Steaks sign was built in 1952. This crown panel was part of a larger sign. 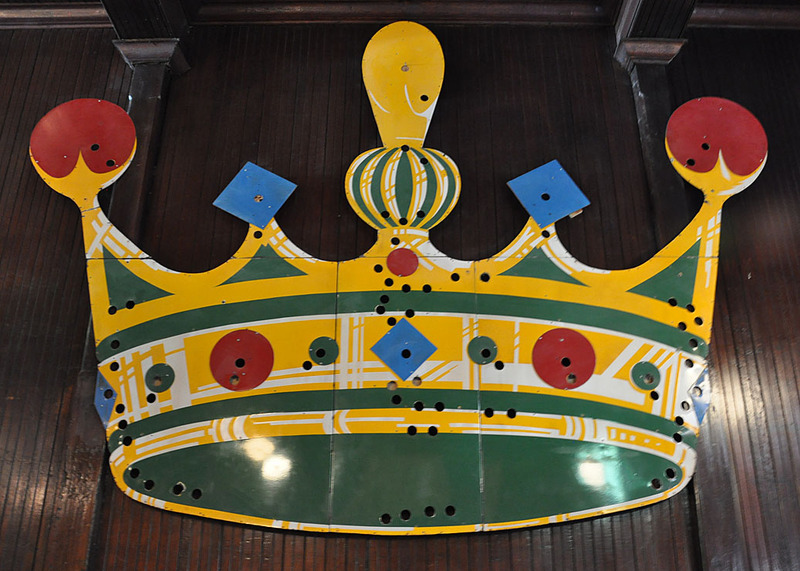 This crown is on loan from Len Davidson and on display inside Jack's Firehouse restaurant. Davidson has the other part of the sign in storage. 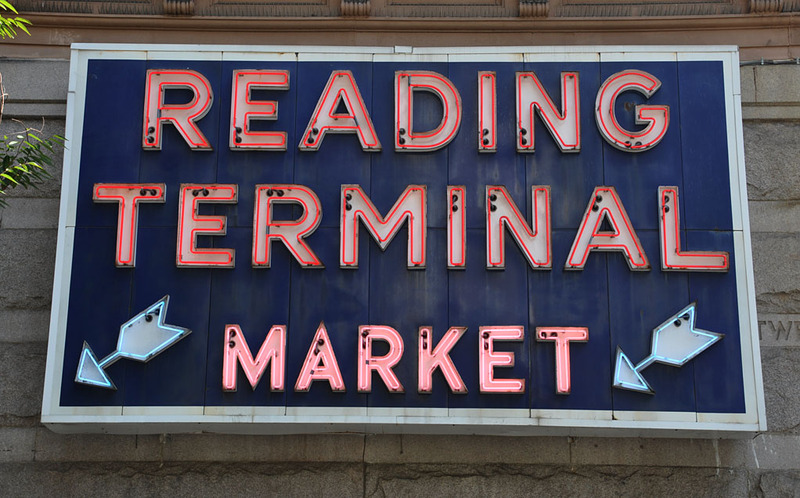 Pat's King of Steaks still uses the crown in its logo. 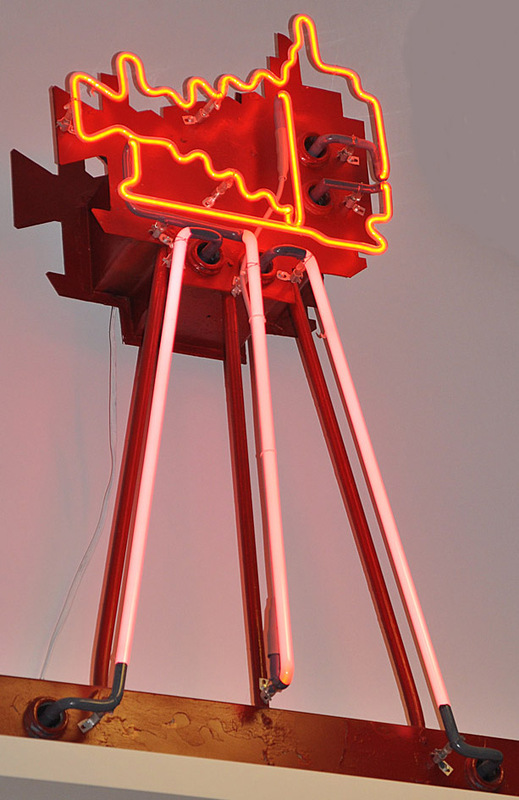 In 2014, a new neon sign was installed. For more, see these websites: 1 and 2. 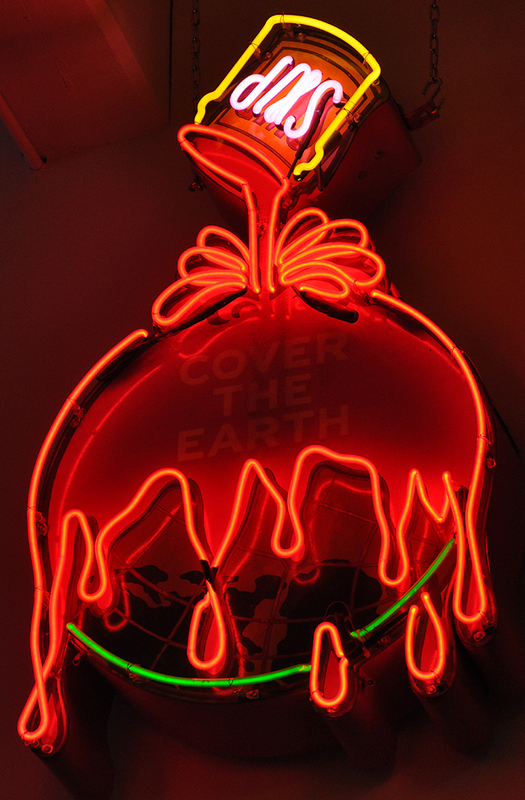 These are some of the signs on display at the Center for Architecture. They were restored by Len Davidson and are on loan from him. These signs have been here since 2008. For more, see this website.